Mahindra Verito Vibe is a sub-4-metre car with 330 litres of luggage space. It comes with wide backseats providing accommodation for three comfortably with middle passenger also has headrest. The Verito Vibe is powered by 1.5-litre 1461cc 8-valve CRDi Renault diesel engine which delivers a Max Power of 63BHp @ 4000rpm and 160Nm of torque @ 2000rpm. It comes in three variants: D2, D4 and D6. 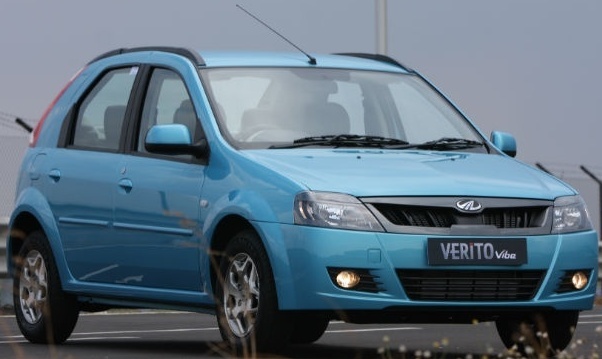 The Verito Vibe delivers a mileage of 20.8kmpl. It has a tank capacity of 50 litres. 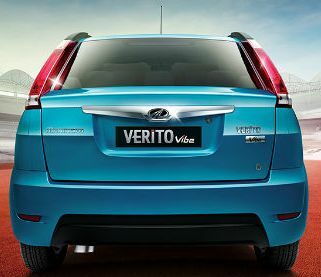 Exterior features of Verito Vibe includes blackened headlamps, carbon-fibre finished grille, pentagram-styled ‘Champagne’ alloys (only on D6), LED taillamps, roof racks. There is a faux carbon-fibre trim on the dash and centre console on the inside. Most comfort features are available with high end D6 variant which includes AC, electrically adjustable outside rearview mirrors, 2 DIN audio player with CD/Aux-in/USB slot, rear defogger, remote door locking, central locking and more. Also safety features such as ABS with EBD, and driver airbag is available only with D6 variant. The price tag is as follows, they all has 3-year/100000km warranty. Tags:- Mahindra Verito Vibe details, Mahindra Verito Vibe features, Mahindra Verito Vibe specs, Mahindra Verito Vibe launch, Mahindra Verito Vibe mileage, Mahindra Verito Vibe india price, Mahindra Verito Vibe india details, Mahindra Verito Vibe india varients price, Mahindra Verito Vibe variants,Mahindra Verito Vibe pics, Mahindra Verito Vibe pictures, Mahindra Verito Vibe images, Mahindra Verito Vibe trim levels.